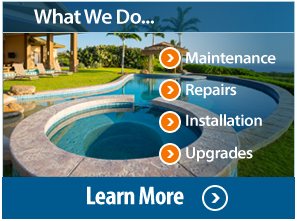 Your pool is an important part of your home and with regular pool service it will always be ready for your enjoyment at a moments notice. There is nothing more discouraging than wanting to use your pool, but then realizing you need to clean it first and there is no way for a pool to quickly fall into disrepair than if it is neglected for a season. 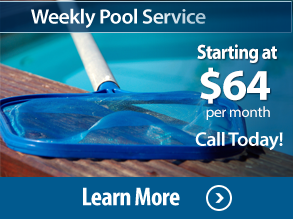 We offer four levels of monthly pool service and each is designed to meet your specific needs. 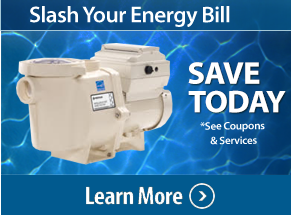 In many cases our regular services can save you money over doing it yourself. This is for many reasons including that we can buy chemicals in bulk, something individual owners cannot do because they degrade quickly even if stored properly, we are able to avoid repeated expensive shock treatments, and because we keep to a regular schedule there will never be a time when the pool will be allowed to get unbalanced and dirty, causing a burden on the overall system. This is for many reasons including that we can buy chemicals in bulk, something individual owners cannot do because they degrade quickly even if stored properly, we are able to avoid repeated treatments, and because we keep to a regular schedule there will never be a time when the pool will be allowed to get dirty, causing a burden on the overall system.